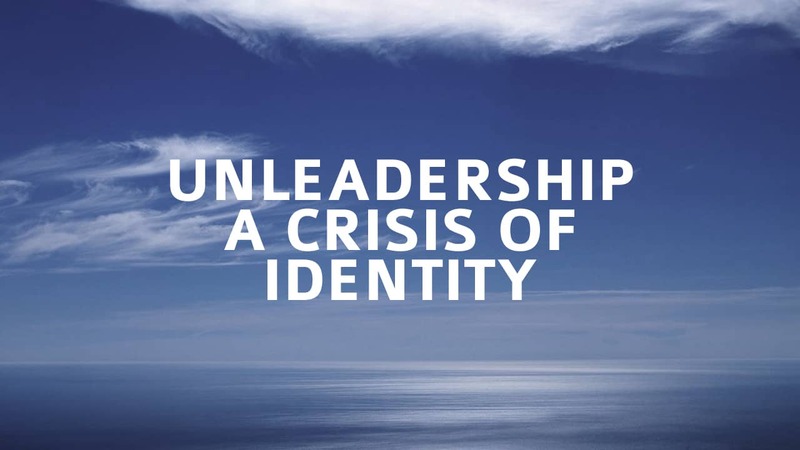 The realization is this – many of today’s leaders are suffering from an identity crisis. The magnitude of this crisis can range from a distorted, diluted, destructive, and in some cases deranged form of what they inaccurately define as leadership. Society has allowed the practice of leadership to be commoditized, which has made it all too common for non-leaders to assume leadership positions thus continuing the devolution of leadership as a practice. When we devalue the worth of leadership, it only follows many people will in turn devalue their worth as a leader. Many leaders today simply do not understand what leadership is, which is precisely why we find ourselves in a crisis of leadership. I would suggest much of what we view today being represented as leadership is actually unleadership – a cheap imitation of the real thing by those who are role playing, but clearly are not leading. When leaders become lost and confused, it doesn’t just impact them – it creates a ripple effect through an organization with a destructive force much more closely resembling a tsunami. Leadership isn’t about maximizing a W-2, and it’s not about personal glory or media attention. Put simply, true leadership isn’t about the leader. Leadership is more than a title; it’s a privilege and therefore a burden of the highest responsibility. Nothing is more dangerous than a leader who loses sight of their real purpose – to serve something greater than themselves. Leadership is about qualities that recognize others while bringing out the best in them. Leadership cannot flourish with small minds, thinking about small things, in small ways. So, what is real leadership? Leadership is about giving credit not taking it, breaking down barriers not building them, destroying bureaucracies not creating them, bridging positional and philosophical gaps not setting boundaries, thinking big and acting bigger, being able to focus on short-term objectives without losing sight of long-term value, not focusing on the volume of outputs but the impact of said outputs, surrender not control, and most of all, leadership is about truly caring for those whom you serve. My challenge to those “playing leadership” is to abandon the practice of unleadership. I encourage you to stop contributing to the crisis of leadership and instead begin contributing to a culture of leadership. Invest in your development, build into others, don’t tolerate the status quo, and inspire greatness. When it comes to leadership, it’s not enough to be all you can be, you must focus on helping others become all that they can be. This is a great post, Mike. The more this type of leadership insight is shared within the social network, the more people will consider the traits of great leadership . . . for themselves, their peers andthier subordinates. As you say, it is not enough to be all you can be. I’ll put it this way – know your limit, lead beyond it. Hmm. Maybe that’s not a bad title for a future blog. Thanks for stopping by and for the kind words John. Best wishes Sir. the issue of leadership points to internal issues of motives, attitudes and beliefs. Therefore the journey from unleadership as you call it to leadership is a journey of changing attitudes, motives and the wrong beliefs we have had of leadership. I think the real challenge is to get those “playing leadership” to realise they are playing; I think many “leaders” lack the required self-awareness to see it for themselves and have few around them willing to tell them. Once they are aware then perhaps they’ll do something about it. So, back to your original post. Anyone pursuing a leadership “position” needs to intern in that job for a while. We can all act like a leader long before we’re actually promoted. We can give credit, break down our own barriers, avoid bureaucracy, bridge gaps, avoid creating artificial boundaries, think big, act bigger, focus on the long-term and care for and serve your co-workers and customers long before anyone actually puts you in a leadership “position.” Every organization could use more of those behaviors. And, by doing those things without being asked, you’ll help your leaders distinguish between you and the unleaders. Mike, you said it all when you wrote that true leadership isn’t about the leader. Well done, sir. 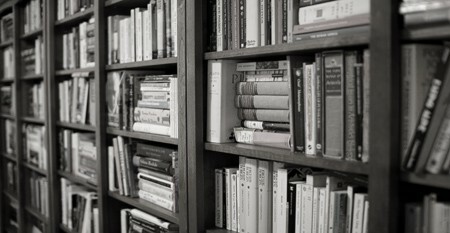 MIke, I loved that article on pursuitology. I printed it out and carry it with me in my work bag. That’s actually how I found your blog. That must really make you feel good when you write something having that great of an impact. Keep the great content coming! What happens when people who right about leadership endorse poor leaders? Do you think that puts at further risk the idea that leadership really matters? Thank you for a clear definition of leadership. I have always agreed and have been proud to wear the label, servant leader. Excellent article with a realistic insight.